On November 20, 2010, a terrorist attack involving ten missiles occur in Japan in an incident forever known as "Careless Monday." However, no fatalities are involved and the attack is soon forgotten. In a seemingly unrelated incident, a young girl named Saki Morimi is on a field trip to Washington D.C. In a strange turn of events, Saki gets into trouble and is soon saved by a mysterious young boy named Akira Takizawa, who was left in Washington both stark naked and with amnesia as well. All he knows is that he is playing a game enforced by a mysterious and powerful organization known as the Seleção. The game involves a mobile phone and 8,200,000,000 yen in cash, with the goal of "positively changing Japan." However, the penalties of losing this game have resulted in many people losing their lives in the process. 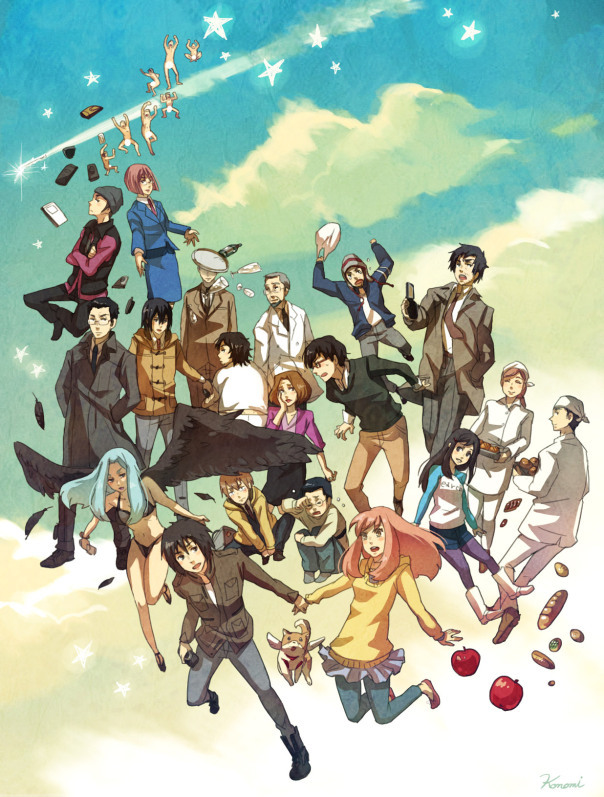 Both Saki and Akira journey to find reclaim Akira's memory and solve the mystery of the Seleção, before another repeat of Careless Monday can threaten Japan once again.